With only a month left before the ski season opens (yeah! 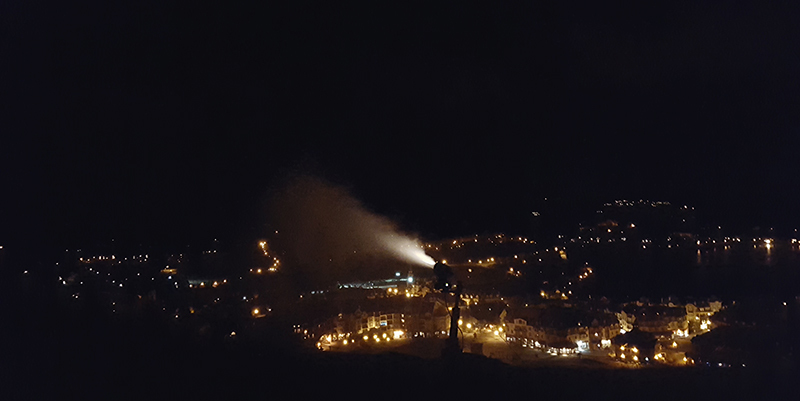 ), our snowmaking team is hard at work getting our mountain ready for the big day. The effort they are putting into the pre-season operations will also ensure more efficient grooming and snowmaking capabilities for the entire season. 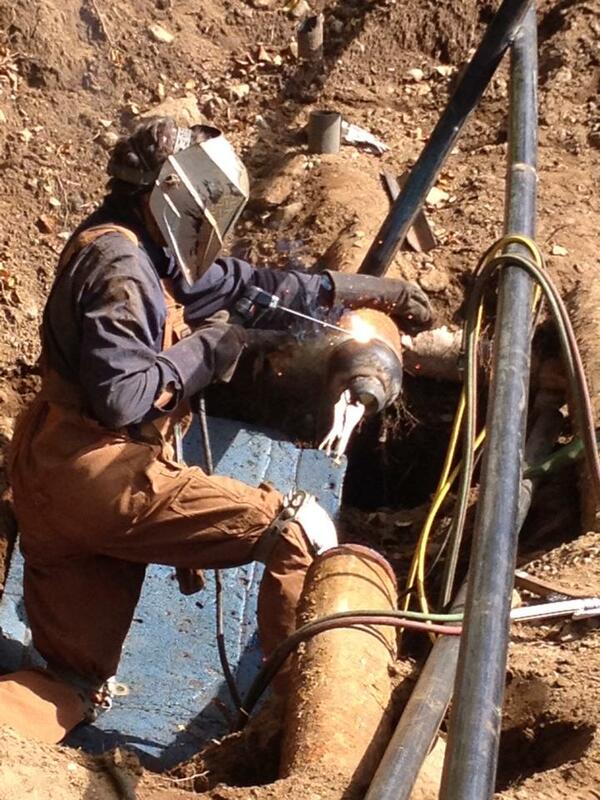 On top of the routine maintenance on the pipes and trails, we are working on new projects every year. This year we focused on our early season snowmaking productivity and on the Versant Soleil. For the first time ever last season, Tremblant opened with top-to-bottom trails on both the North and South Sides. It was a real success! If Mother Nature cooperates with us, one of our goals this year will be to start off in similar fashion. Tremblant’s 24h charity event, our first event of the season, is always the starting point for the primary snowmaking plan. The trails dedicated to the event, as well as the main beginner slopes, will be ready by December 6th. To help us achieve this goal, we’ve made improvements to the Beauchemin water line, which is now supplied from the base in addition to being supplied from the summit. Thus improved, the line water pressure will provide better production and quality of snow. Our second main objective is to have the Versant Soleil open for the holidays. To achieve this, significant investments have been made to the snowmaking infrastructure to eliminate our reliance on very cold temperatures, which were previously required to make snow in this area of the mountain. 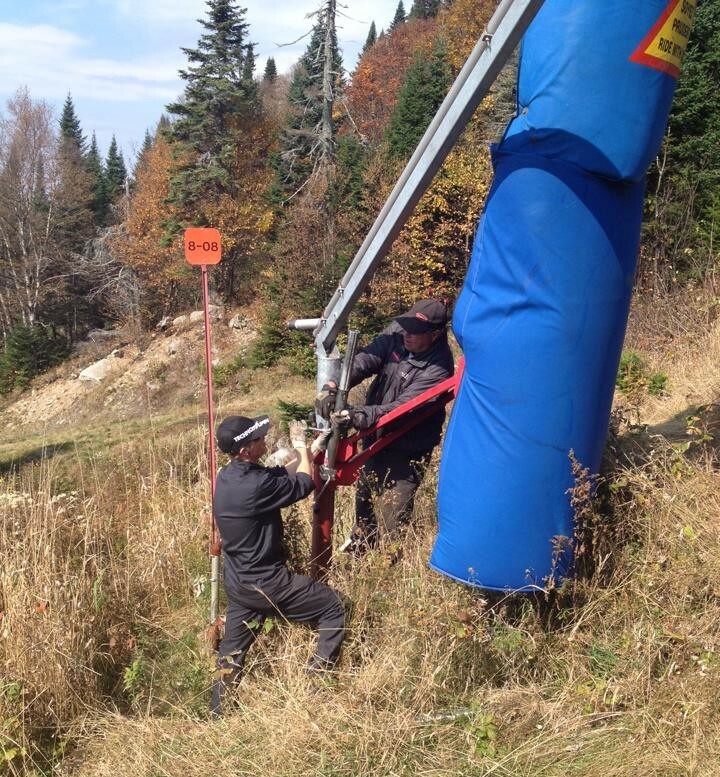 We have therefore added an air pipe hoses along the main slope on the Versant Soleil (Franc Sud, Toboggan and Tapecul) with 90 air / water guns, including 45 new ones permanently installed along this artery. With the old system (without air), we had to wait until temperatures dropped to around -15° C. With the new air lines, we can now start making snow on this side as soon as the temperature reaches -5° C.
On top of that, we also added a fleet of 15 new portable snow guns. The 15-foot long guns can be easily transported all over the mountain to address specific needs. Thanks to an amazing, hardworking team, we are looking forward to another great ski season!